If a connector license expires, it will prevent Analytics Edge macros from running and must be uninstalled. 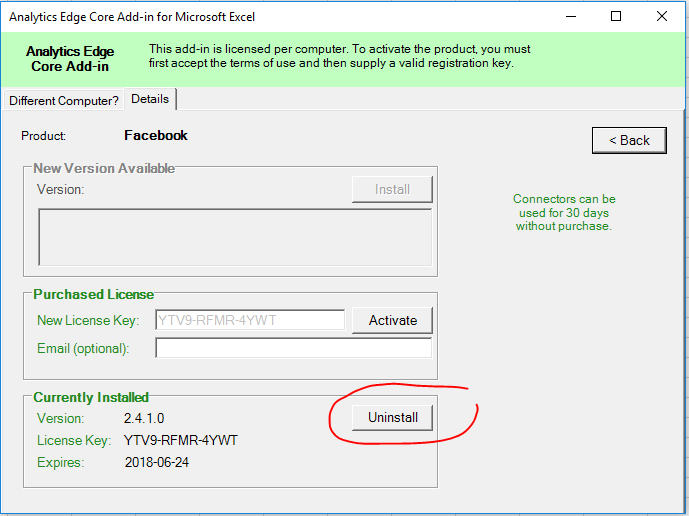 Newer versions of the Add-ins will automatically uninstall expired connectors – just close and restart Excel. 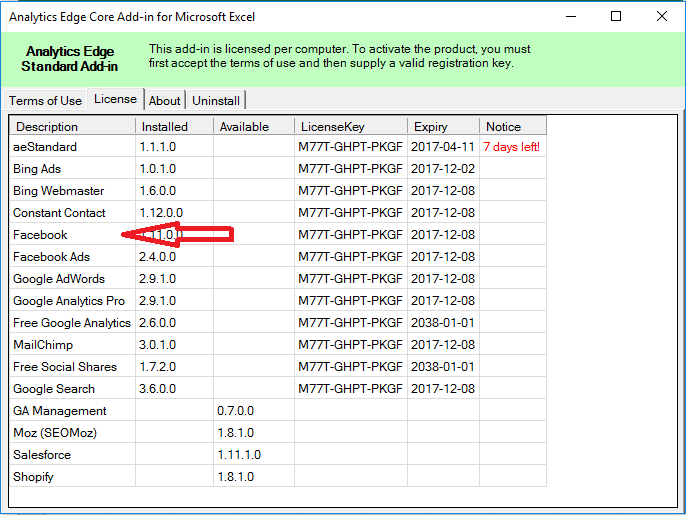 To uninstall a connector from the Analytics Edge Add-ins, open the License wizard and click on the entry for the connector. Then click the Uninstall button on the wizard and restart Excel to complete the operation. Note: if you have upgraded the connector since first installed, you will be asked if you want to remove old releases as well.